Under the U.S. laws, a state of bankruptcy may apply to any person who cannot pay debts. In other countries like Asia or Africa, this condition does not exist. The U.S. Constitution under Chapter 7 allows consumers with debt to pay all or part of their debt after liquid assets are used to spend part of the debt. In Chapter 13, debtors are allowed to repay all or portion of their debt using a payment plan. Canada also has laws on bankruptcy. Personal bankruptcy in Canada is a legal process governed by Federal Law that allows unfortunate but honest persons to obtain relief from their debt and at the same time treating creditors reasonably. In 2015, about 121,609 persons filed for bankruptcy in this country. 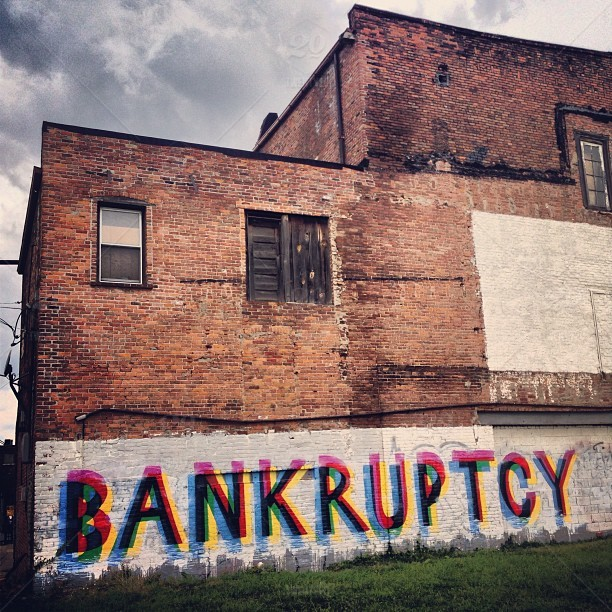 While the legality of bankruptcy in the U.S. and Canada is designed to protect consumers from ultimate disaster, the non-existence of bankruptcy laws in many countries does not mean there are no persons who are experiencing the same dismal condition as people in the U.S. or Canada. A dire financial situation encountered by a businessman in Asia may not be called a state of bankruptcy in the legal sense, but its impact on both the debtor and the creditor would be the same for all. Under bankruptcy, all liquid assets that a debtor has would be ‘sequestered’ under Federal laws to pay a part or all of the debts a person has incurred. This means all the available cash, bank deposits, and precious items like jewelry, gold, silver, and diamonds would have to be given to the court or to an assigned trustee who will dispose of the assets to pay off the debt. In short, you’ll go broke. There is a debt ceiling issued by the US Bankruptcy Code. Your unsecured debt must not be more than $307,675, while a secured debt should not go beyond $922,975. The court will decide the issue once you go beyond the debt ceilings. Not only will you have sleepless nights trying to figure out where to get additional cash to pay your debts, but you will also need to hire a lawyer who will be an additional burden to you. Becoming bankrupt will affect your standing and image in the community especially if you are a businessman. Once your clients have learned that you have filed for bankruptcy, your credibility as a businessman will ominously erode, and it will be even more difficult for you to get a loan from new sources once they check out your background. Even if you can make a fresh start, you will still be facing legal restrictions which would make it difficult for you to gain the confidence of new creditors. Bankruptcy is a form of insolvency. Even your other assets like your house, car, equipment, and other electronic items would be required to pay off all or a part of your debt. This could make it hard for you to make additional payments once all your liquid and non-liquid assets are gone. As a consequence, your relationships with your family, friends, associates, and client (if there are any) could suffer. Negotiating with the creditor how you are going to pay your debt before filing for bankruptcy could be a better option.